A night reserved for glamping in the glamorous backdrop of green Bandhavgarh jungles filled with mysterious species of mammals and enigmatic vegetation surrounding your luxurious tent is all you need to enjoy the enigmatic beauty of this rich heaven of greenery and wildlife. One can enjoy guided excursions in the jungle to encounter wild Indian boars, Sambhar deer, and much more. This Bandhavgarh jungle safari will take you through the dense forest while you hear your heart beats mingle with the cries of wild birds and growls of jungle animals. Camping in the jungle is a favorite activity for many, but what makes this even more special is the perfect location of the camps, the comfortable settings and the thrill of the night that will leave you exhilarated and excited to see and experience more and more. For those who are wondering what kind of jungle safari Bandhavgarh to choose, this one night will be more exciting than any other activity offered by Bandhavgarh 365. 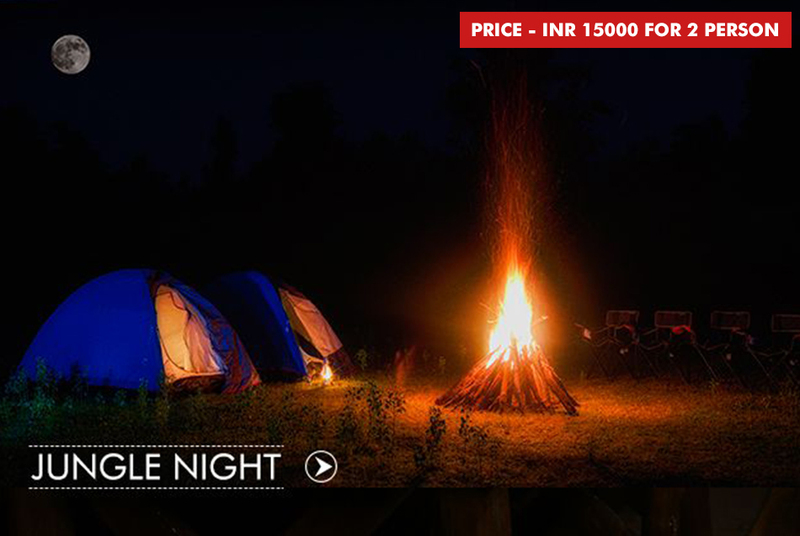 You can enjoy jungle night with friends and family and have a grand time in the dense deciduous forests. Get a memorable experience with this amazing Bandhavgarh jungle night by booking this most exciting and luxurious activities at Bandhavgarh National Park with us.